1 2 3 4 5 Click to share your rating 24 ratings (4.6/5.0 average) Thanks for your vote! "A classic soul touching film." 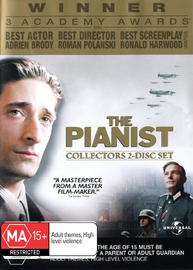 The Pianist is a film based on the memoir and true story of pianist Szpilman. From the perspective of the soul survivor Szpilman, the film has shown its audience the kind of suffering which Jews were subdued to by their perpretrators-the Nazi. The Pianist is a timeless master piece which truely reflects one of the most horrendous times in our history, the darker side of humanity, one which most would wish to never have the same event repeated again in the future. Thought provoking movie that draws you in. Very well acted and great cinematography. Excellent acting, a very true historical picture of a time we should never forget. Also a reminder that these brutalities, deprivations etc., should never be allowed to happen again. Love your neighbour! Roman Polanski's remarkable, Oscar and Palme D'Or winning film The Pianist tells the true story of Wladyslaw Szpilman (Adrien Brody). Managing to survive in the Krakow ghetto while the vast majority of the Jewish population have been transported to concentration camps, Szpilman leads a lonely, dangerous existence sheltering in abandoned houses. 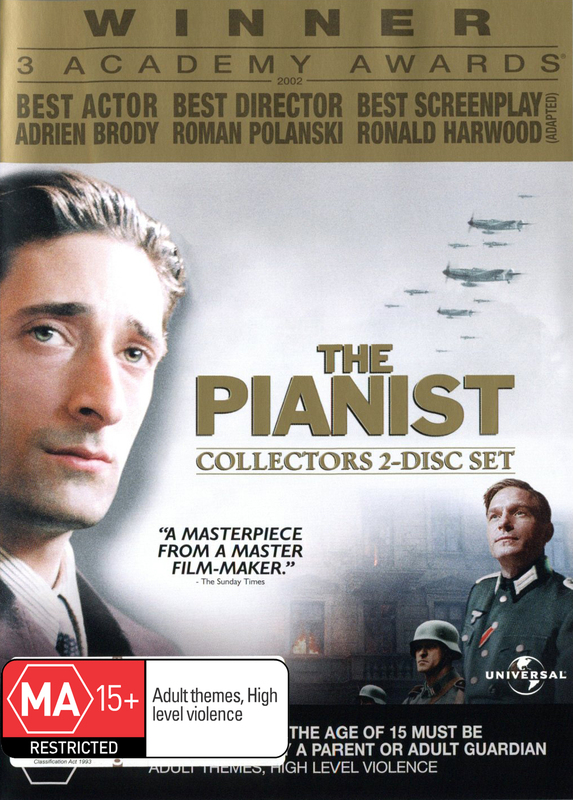 Directed by a film artist who lived through the times it depicts, Polanski's matter of fact storytelling style makes this one of the most haunting of Holocaust-themed films and it features an indelible central performance by the Academy Award's choice of Best Actor in 2003, Adrien Brody. Best Picture BAFTA Winner 2002.